1st Nov, 2018 has been celebrated world over as Global Business Analysis Day! We marked the occasion cherishing and relishing the profession and practice of business analysis that evolved over the ages and grew into the career of choice for millions all over the world. On this day, we announce the launch of a new digital/online course titled "Practical Business Analysis- Part 1". In this post, I discuss the background, context and rationale for creating the course, and who is going to be benefitted from the eLearning course. With this announcement, I am also happy and proud to share the cover image for the course. Watch out for more updates from me and Team Analyst-Zone on the launch date, course syllabus, coverage topics and platforms on which it will be available etc. Happy Business Analysis Day, once again to all the BA professionals and enthusiasts in the community! 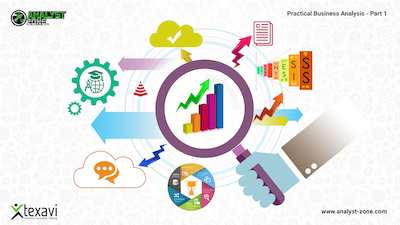 Business Analysis profession has numerous titles, forms, roles and profiles across the industries, market sectors, domains and verticals. These range from pure-play business analyst to product manager, from process specialist to change manager and from management consultant to data analyst. Often there comes a question as to what make up a great business analysis professional. 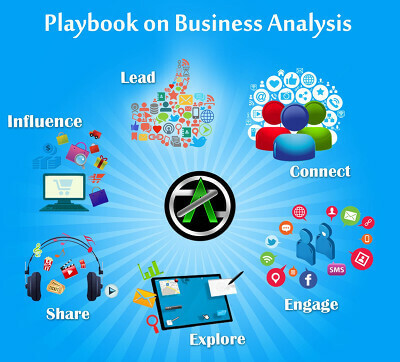 We at Analyst-Zone put together a Playbook on Business Analysis addressing these and many more areas on the careers aspects of BA profession. 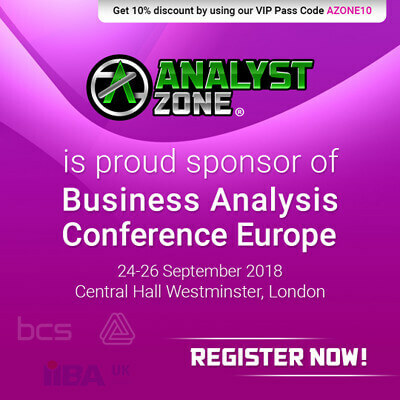 Get a copy of this and meet our Team Analyst-Zone at the Business Analysis Conference, Europe 2018 in Central Hall Westminster, London on 25th and 26th Sep.2018. Meanwhile, read the Playbook and get enriched! 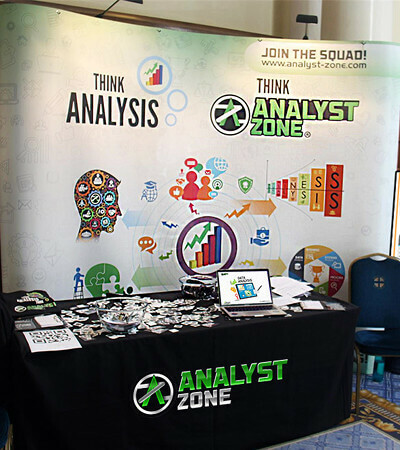 This blog post touches upon the exciting prospects of Analyst-Zone sponsoring the Business Analysis Conference Europe, 2018. The big-draw annual event boasts of practising professionals from across the industries, insightful sessions and talks, educative workshops and networking opportunities. Analyst-zone is proud and honoured to join the industry leaders such as BCS, IIBA UK in sponsoring and exhibiting at the event. Come join us, register now! We look forward to meeting you at the BA conference, Europe 2018 in Central Hall Westminster, London on 25th and 26th September, 2018!